1) To make the dough: Mix the water, sugar, and yeast in a liquid measuring cup. Set aside for 5 minutes, or until a foam forms on the top of the mixture. Do not mix salt in this mixture or else yeast won’t react with sugar to create froth. 2) Mix the flour and salt together. 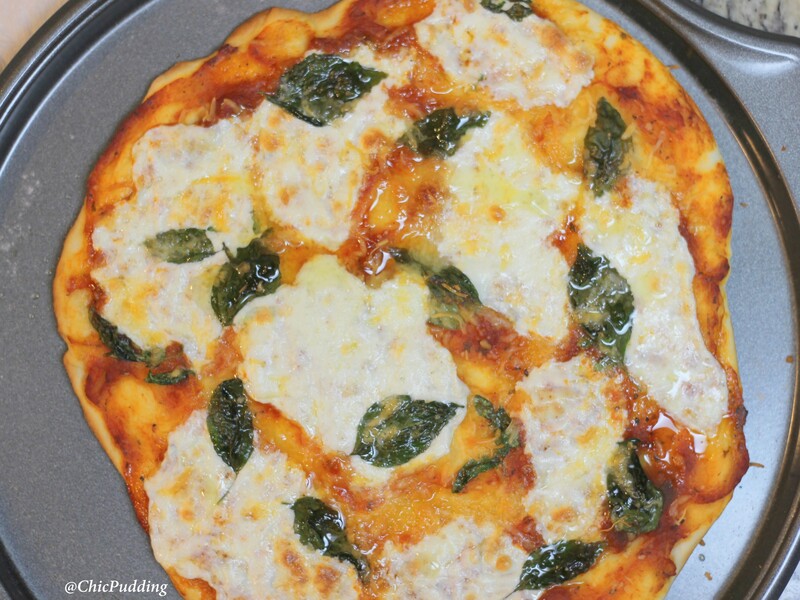 Pour in the yeast mixture and oil, and knead briefly until a dough is formed. 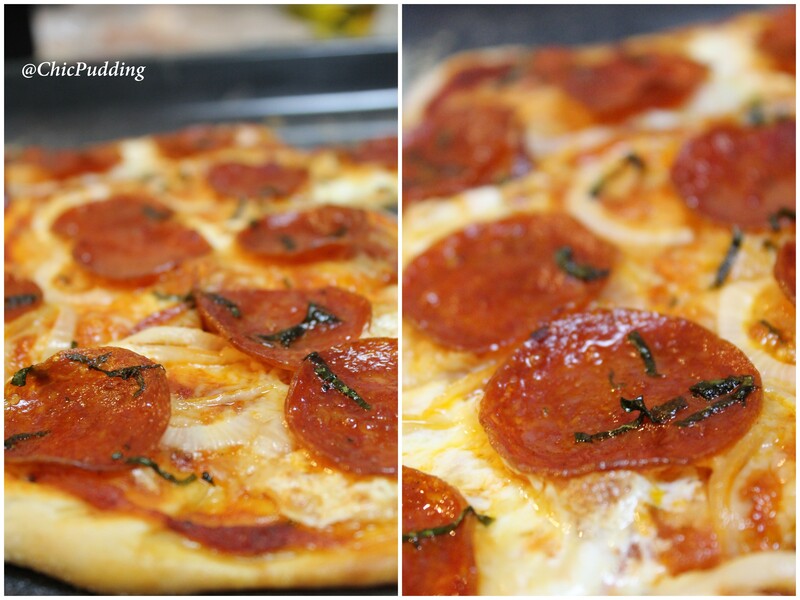 You can use olive oil at this point to release the dough from sticking to your fingers. 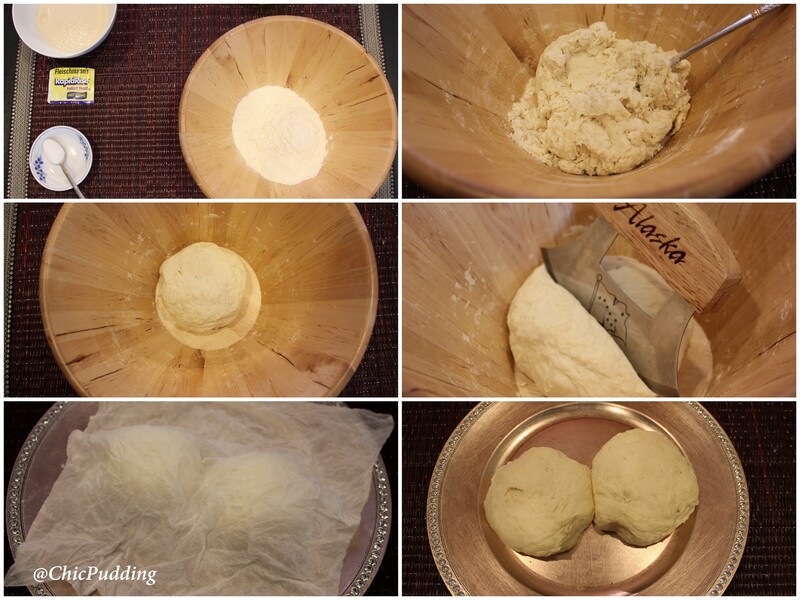 Make 2 dough balls. 3) Place the dough balls on a floured baking tray and dust the top with flour. Cover with plastic wrap or warm damp kitchen roll and set aside in a warm place for 45 minutes to 1 hour, or until doubled in size. 4) After the dough has risen, remove and dust with flour. 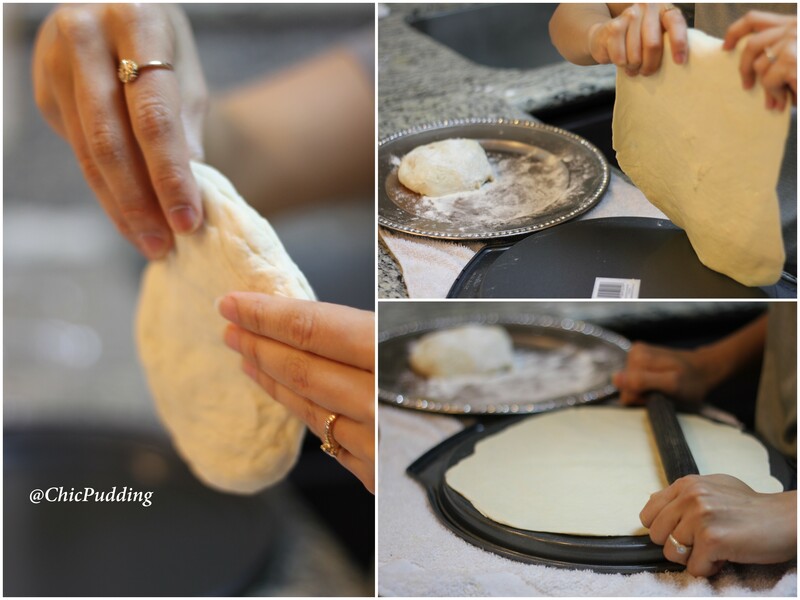 Start rolling the dough to a point its 0.5 – 0.75 cm thick. 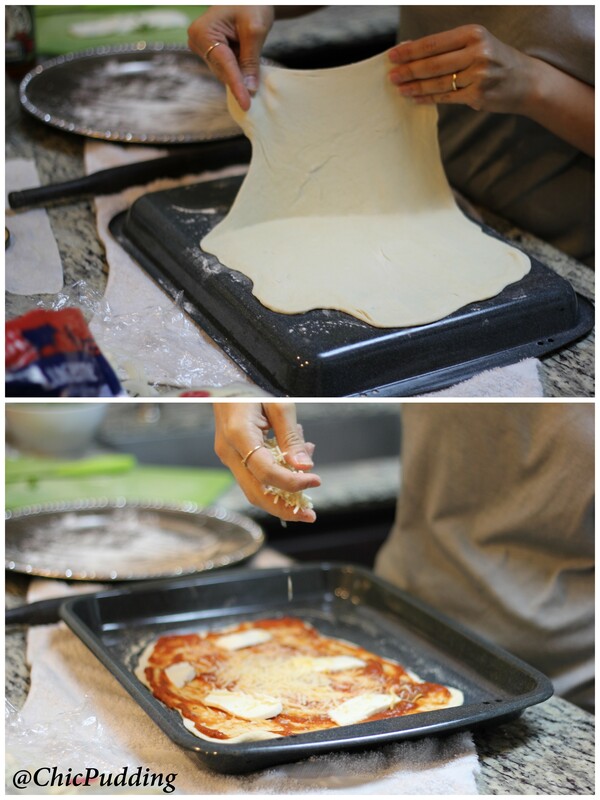 Dust flour onto the dough as and when needed to prevent it from sticking to the surface. Once the dough is rolled out, dust off excess flour. 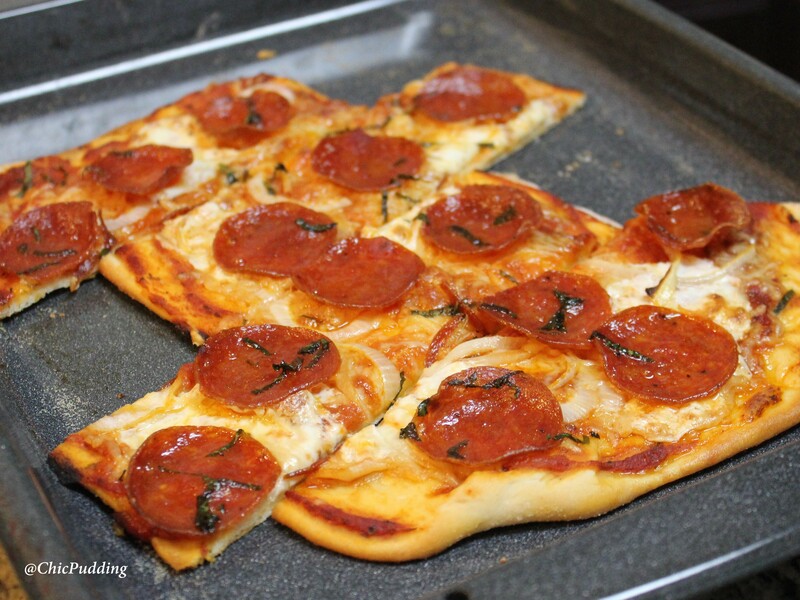 5) Take a baking tray, place the stretched/rolled dough on it. 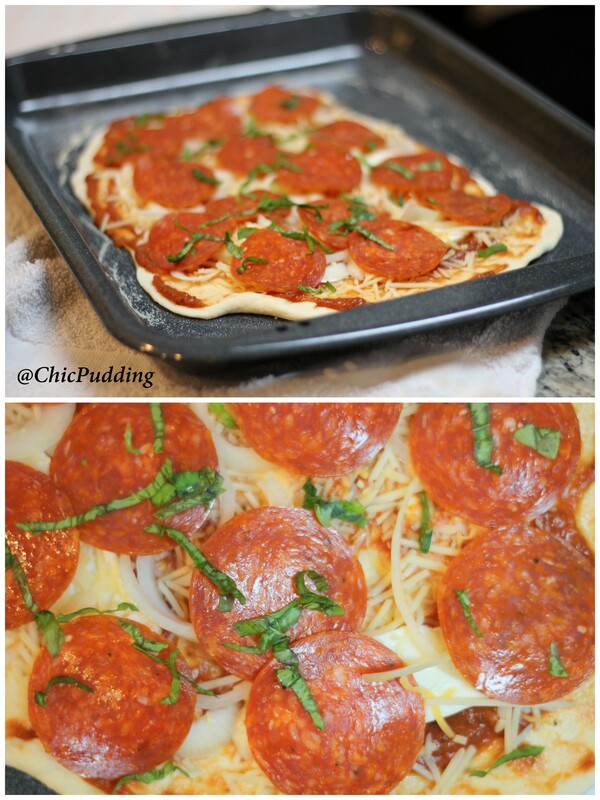 Use homemade tomato sauce or store bought Marinara as the base sauce. 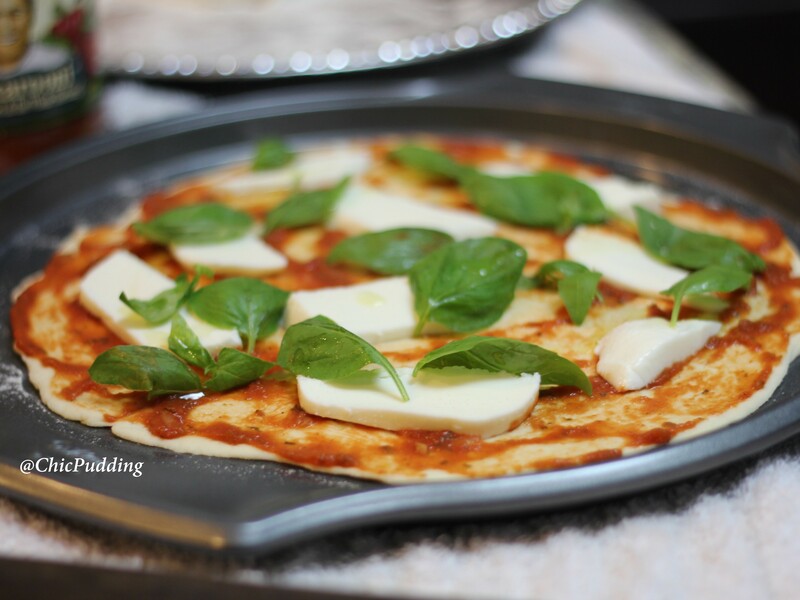 – For Margarita (Veg)- Use mozzarella, parmesan and basil leaves. 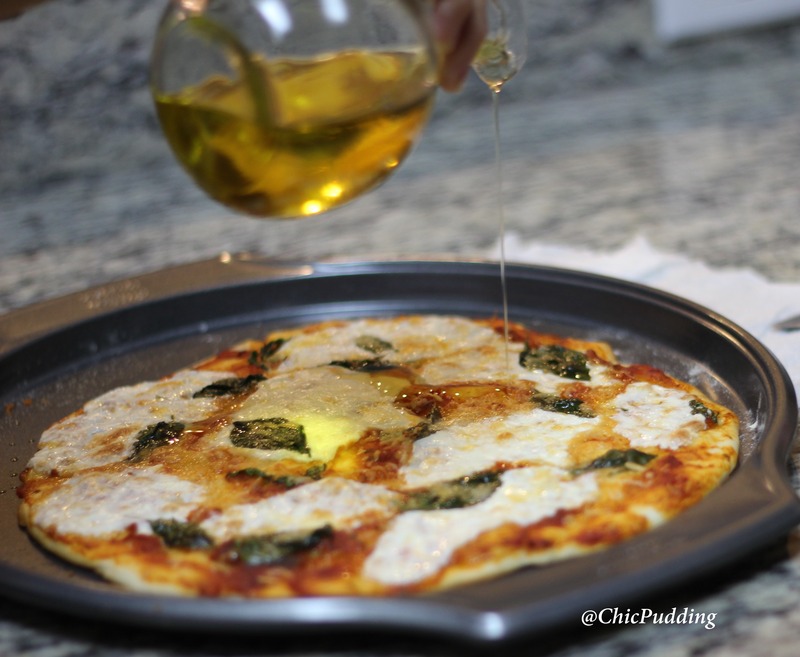 Drizzle olive oil once out from the oven. 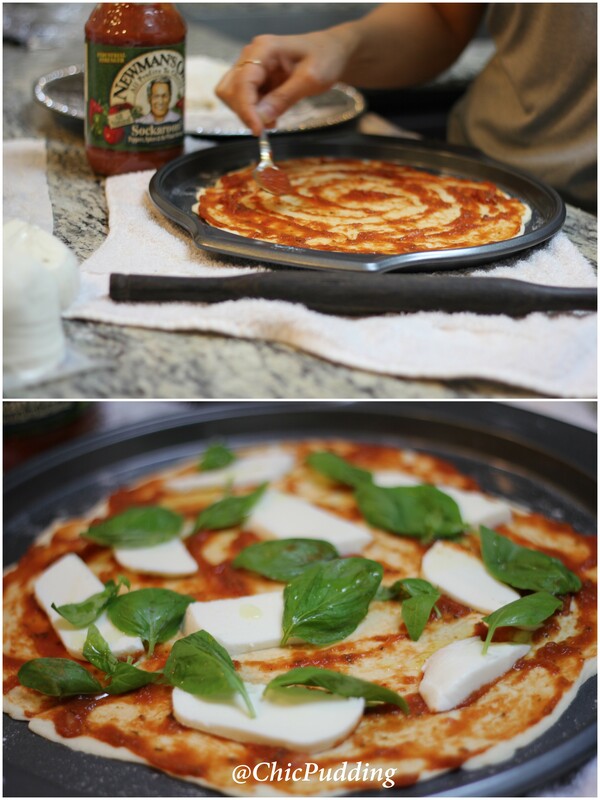 For Prosciutto and Arugula (Non-veg) – For baking, just use pizza sauce base, goat cheese, parmesan and pine nuts. 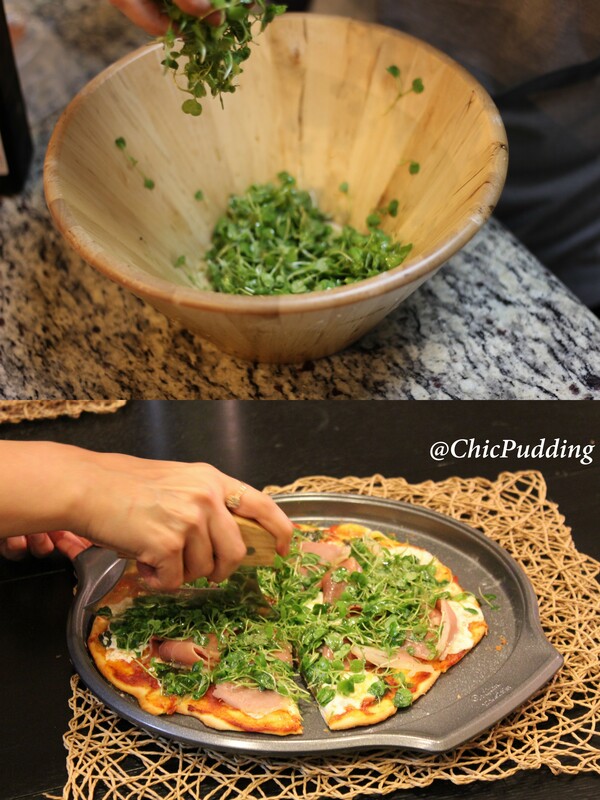 – Prosciutto and micro arugula greens are to be topped after the base is ready and removed from the oven. Dress the arugula micro greens with pinch of salt, pepper and olive oil. Drizzle with balsamic vinaigrette. 7) Pre-heat the oven at 375-400 F for 20-25 mins or till the crust turns brown from all edges and all the cheese is melted. 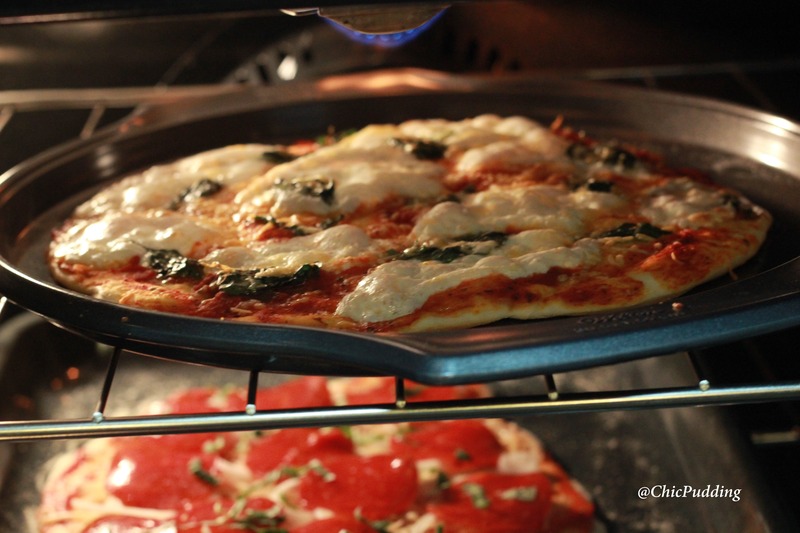 8) Place your pizzas on the middle rack or middle and lower rack. The lower rack pizza may take a little longer to cook.